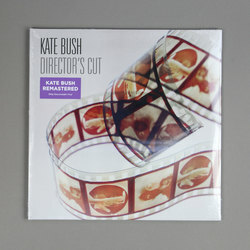 Kate Bush - Director's Cut. Vinyl LP. Bleep. Kate Bush’s 2011 LP Director’s Cut gets remastered and reissued. The art-pop pioneer’s ninth studio LP, Director’s Cut is comprised of reworked tracks from 1989’s The Sensual World and 1993’s The Red Shoes. Sometimes the songs are given such a going over that they become new pieces in their own right - The Sensual World’s eponymous track, for instance, morphs from a towering and very ‘80s synth-led number into a piece of folkish baroque-pop entitled ‘Flower Of The Mountain’.